DāNite Sign Company was proud to give high school students from C-TEC, and Southwestern Career Academy a taste of our custom sign shop for the International Sign Association’s 2015 “Sign Manufacturing Day”. Custom sign fabrication requires design, routing, welding, electrical, paint, printing, plotting and more… nearly everything these students will study in their technical programs. It’s the perfect field trip! After the tour we served pizza and took pictures of groups of students in our crane basket against an elevated-looking backdrop. There were lots of thoughtful and pertinent questions from these two groups, and we hope to welcome some of them, in the future, to the exciting world of custom sign fabrication. 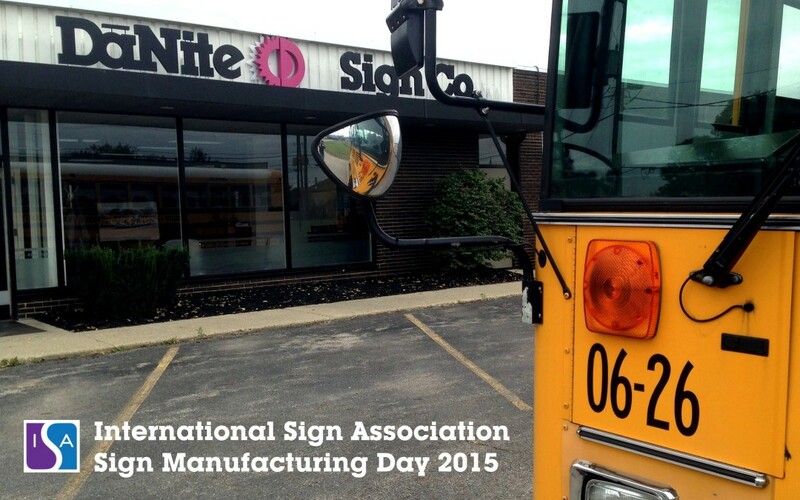 DāNite had as much fun this year with Sign Manufacturing Day as the students did! We’re already looking forward to next year.